Eleanor grew up in Brookline, Massachusetts, and attended Tufts University. After graduating with a degree in biology, Eleanor taught science in public school, first in New York and then in Maryland. 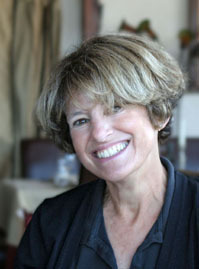 Following a move to California, she worked as an editor of science textbooks for Harcourt, then for Curriculum Concepts, and later designed multimedia educational materials for Compass Learning. She has a Masters of Education degree from San Diego State University. Through the work of such writers as Cynthia Ozick, Philip Roth, Kurt Vonnegut, James Baldwin, Margaret Drabble, and the incomparable Jane Austen, she acquired an ardor for words, and she began writing fiction. For a decade, along with an early literary mentor, Mel Freilicher, Eleanor co-edited Crawl Out Your Window, a San Diego based journal featuring the work of local writers and artists. Eleanor lives with her husband, a professor of medicine, in La Jolla, California. From that base, she writes fiction, sometimes travels to exotic lands, and volunteers as a Court Appointed Special Advocate for foster children. She has a son and a daughter.